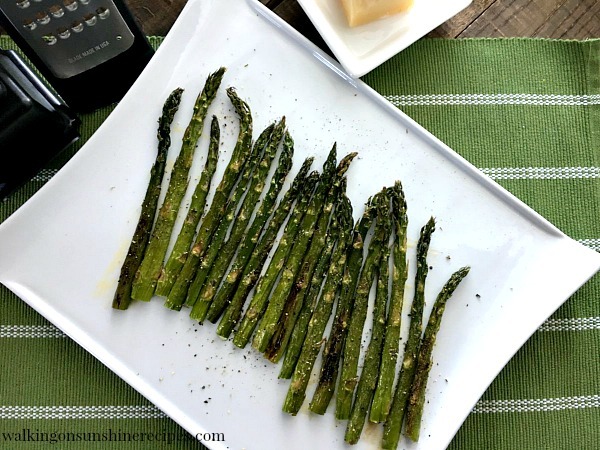 Roasted Asparagus with Parmesan Cheese is an easy and delicious side dish recipe to make for dinner tonight. Serve these with grilled chicken, steak or even hamburgers. 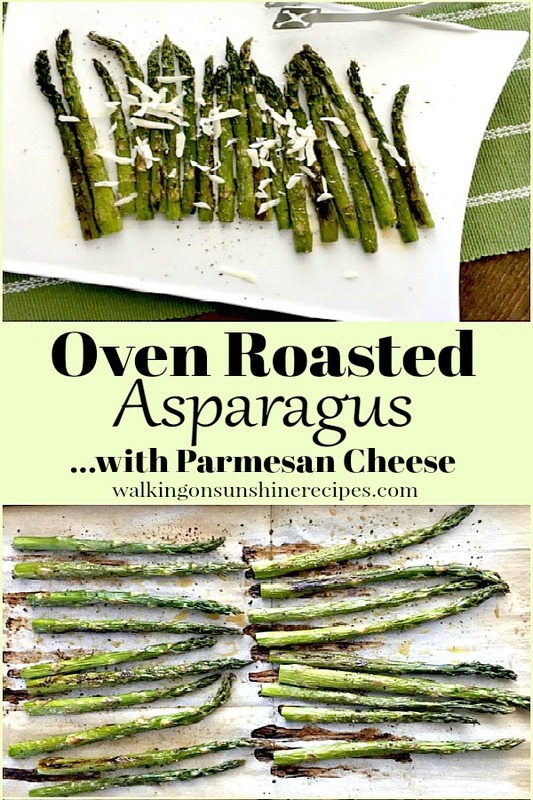 Roasting is such a versatile way of serving asparagus. Your family is going to love this recipe! 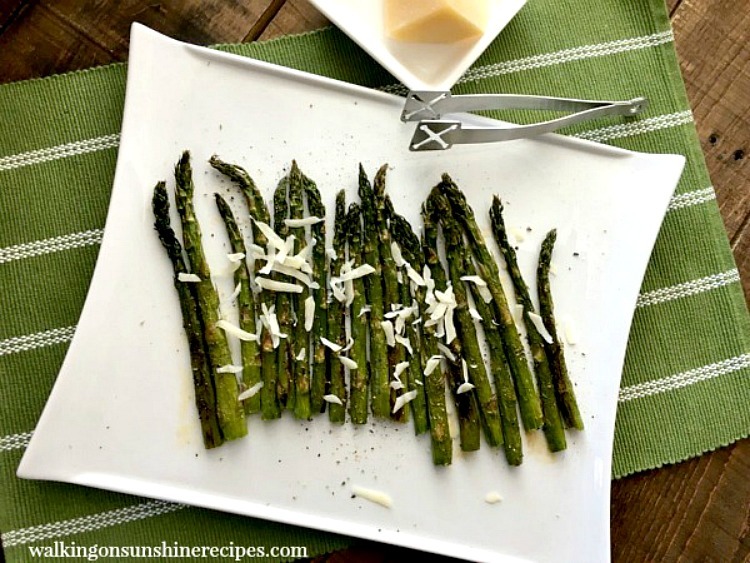 Roasted Asparagus with Parmesan Cheese is one of the easiest side dishes you’ll make. It goes great with any protein you are preparing and will make a huge presentation for your family or for guests. Roasting changes the flavor of asparagus and it actually takes out some of the natural bitterness; which is one reason why some people don’t enjoy this vegetable. 1 bunch of asparagus; thick spears are better for roasting. Rinse and cut off the thick ends of the asparagus. 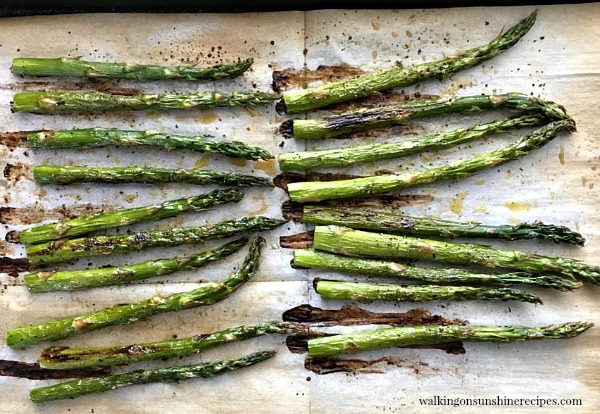 Lay the asparagus in a row on a sheet pan that is covered with parchment paper. Drizzle the asparagus with oil. Season with salt and pepper; the more pepper the better! Bake in the oven for 15 to 20 minutes or until the stalks are tender and browned. 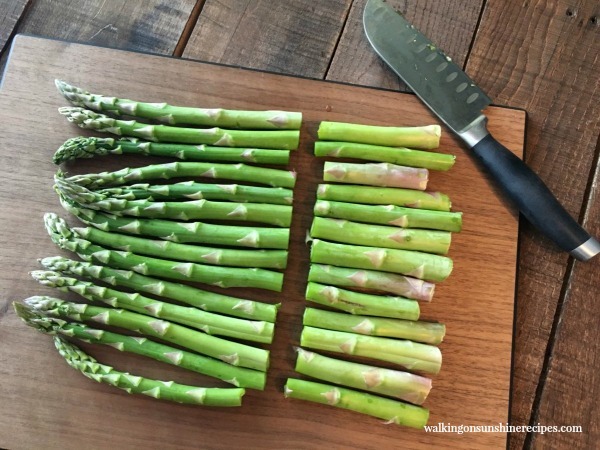 For best results for roasting, you want to use asparagus with thick stalks but you need to trim the asparagus by cutting off the bottom thick pieces. 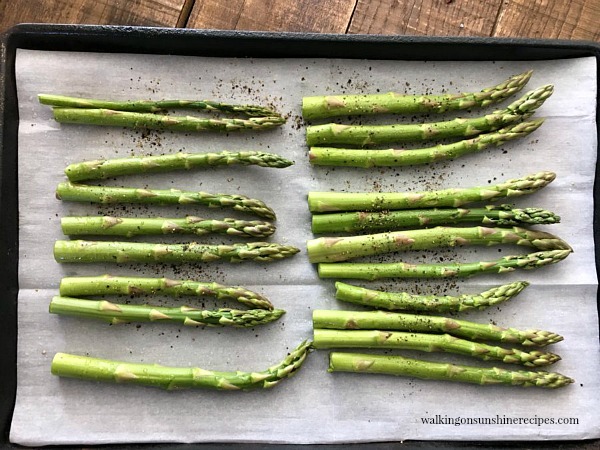 Using thicker asparagus really goes against what most recipes call for when you’re preparing asparagus, but trust me, for roasting, you want the stems to be thicker. The easiest way I find to trim the asparagus is to pick up one stalk, holding it between two fingers, slightly bending it which will allow it to break naturally. Then use that one stalk as a guide to cutting the rest of the asparagus. 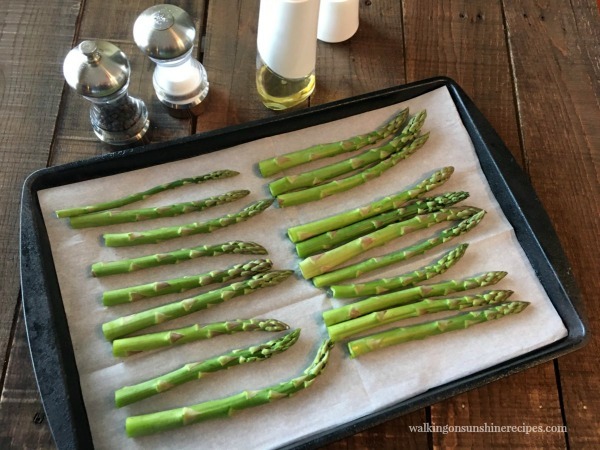 Place the asparagus on a baking sheet that is lined with parchment paper. 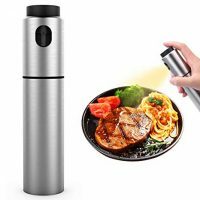 You can brush the oil on or you can use a Oil Spritzer Tool which lightly sprays out oil. Don’t forget the salt and pepper! I like to use sea salt or kosher salt when roasting vegetables. Bake in a preheated 400 degree oven for 15 to 20 minutes or until the stalks or fork tender. 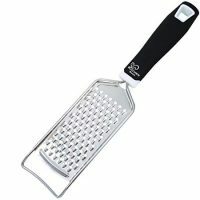 They’re delicious just like this but you can also add a sprinkle of freshly grated Parmesan Cheese. You can drizzle oil on top of the asparagus or you can use the Oil Spritz tool. It's a healthier way to add a light coat of oil to vegetables without all the calories. I prefer my veggies roasted to boiled anytime. This looks delicious with the Parmesan on top. Thanks for sharing on #TastyTuesdays. Hi Lois, love this. Would you like to share this with the other participants in Food on Friday over at Carole's Chatter? I have a weekly link up party – each week there is a different ingredient or theme. The current theme is Asparagus! Amazing recipe! Thank you for sharing this with us at Funtastic Friday link party.